My wife and I are travel addicts who are currently living as U.S. expats in Doha, Qatar. Travel has been a passion of mine from the time I was a young kid. Whether it was cramming in the 1987 Plymouth Horizon with the family to roadtrip to northwest Arkansas or flying down to visit the grandparents and putting my Florida snow shovel to good use, I loved it all. That passion has led me to visit a total of forty countries and all seven continents. I’ve lived on both the East and the West Coasts of the States, but I’m a true Midwesterner at heart. Now that we’re living in the Middle East we’re hoping to use this opportunity to explore as much of the other side of the world as possible. This blog is my attempt to share our adventures, connect with other travelers, and show people how easy it is to travel. It’s a big world out there, and we plan on seeing as much of it as possible. 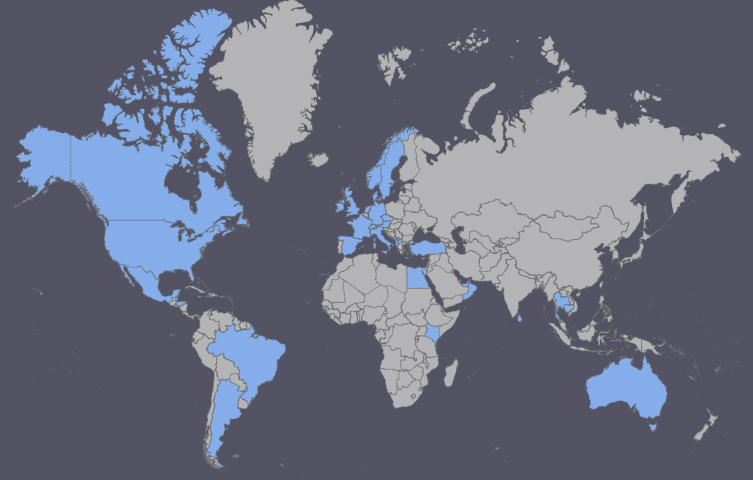 I have visited 40 countries (plus Antarctica).